Photo on plexiglass, but even prettier! Your photo or image on plexiglass? It looks nice but a photo on plexi­glass has quite some dis­ad­van­tages. The print is quite often un­sharp. Plexiglass is scratch sensitive and loses its colour after a while. Not really something you would like to see on your favourite photos. The alternative is HD Metal! HD Metal consists of a thin aluminium plate with a coating. We will then use a unique technique for your photo to look amazing onto it! The result is really impressive! Razor-sharp and ultra strong with a photo quality you've never seen before. It also has a high gloss finish like plexiglass but in a different way, it does not look dull. 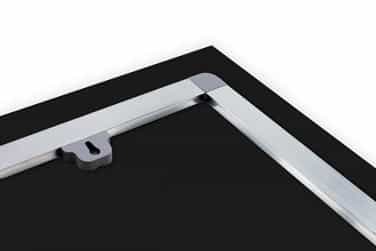 We always supply our HD Metal with a free hanging system and spacer for the wall. 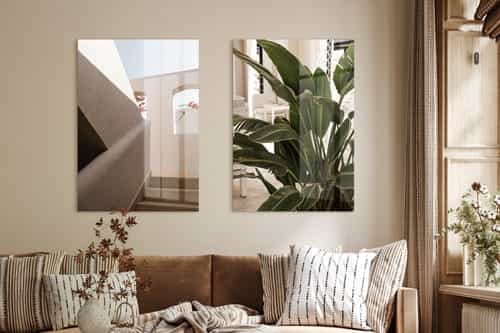 As a result, your artwork is hanging a bit off the wall which gives it more depth. Our photos on aluminum are a super quality product and scratch fixed, making your photo on HD Metal a long life span and therefore durable. We personally love the photos on aluminium due to its great look. It really is a eyecatcher in every interior. HD Metal has been deve­loped for art galleries and pro photographers, but is now also available for you! Please see below the differences between your photo on plexiglass compared to HD Metal. 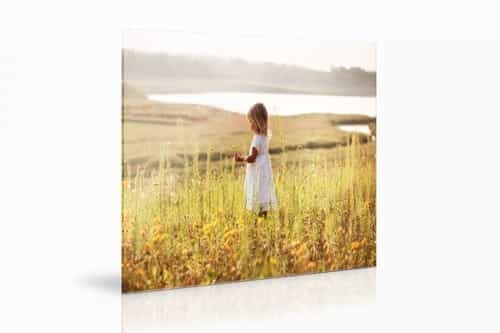 We print your picture on HD Metal with the latest printing tech­ni­ques. As a result, you will always get the highest quality end results of your photos or images. HD Metal can be printed with any photo or image. 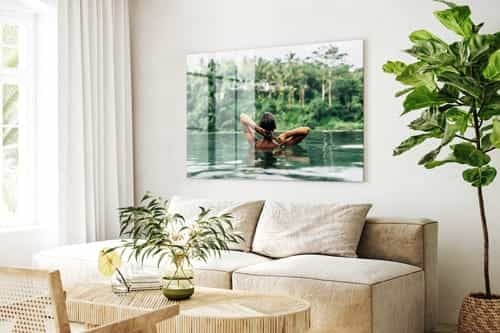 Photos on HD Metal are often good in modern or sleek interiors. 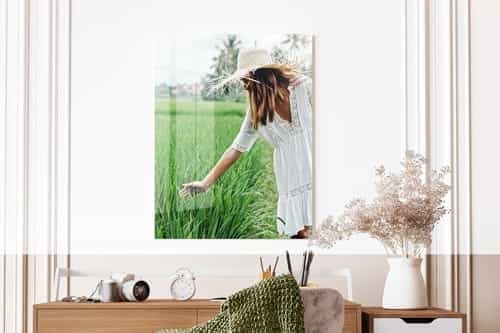 Ordering your own picture on HD Metal is super easy. You upload your photo or image, choose the desired format and the cropping. Then all you have to do is filling in your details and pay for your order. Easy right? And within 4 working days, the HD Metal picture will already be delivered to your home! 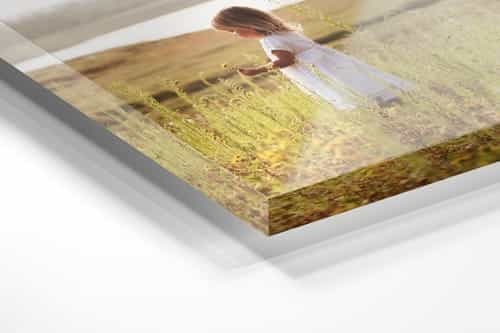 Do you still have any questions on our HD Metal prints compared to photos on plexiglass? Don't hesitate to contact us, it is our great pleasure to help you!